Recycling Works: If It Is Single Stream Recycling, Why Are There Separate Bins At Drop-Off Centers? If It Is Single Stream Recycling, Why Are There Separate Bins At Drop-Off Centers? Single Stream recycling, also called "Fully Commingled" or "Single Sort", is a process by which all recyclable items are collected together in a single truck instead of being separated into different bins by the depositor. The sorting processes in place then support the commingled materials and separate them into commodity types. Borden Waste-Away Service, Inc. provides residential recycling that is Single Stream which is then picked up by a recycling truck. All of the recyclable commodities at this time are mixed until they are sorted at their company-owned recycling facility. Recycling drop-off centers provided by Borden are also Single Stream recycling, but have a couple specific differences. 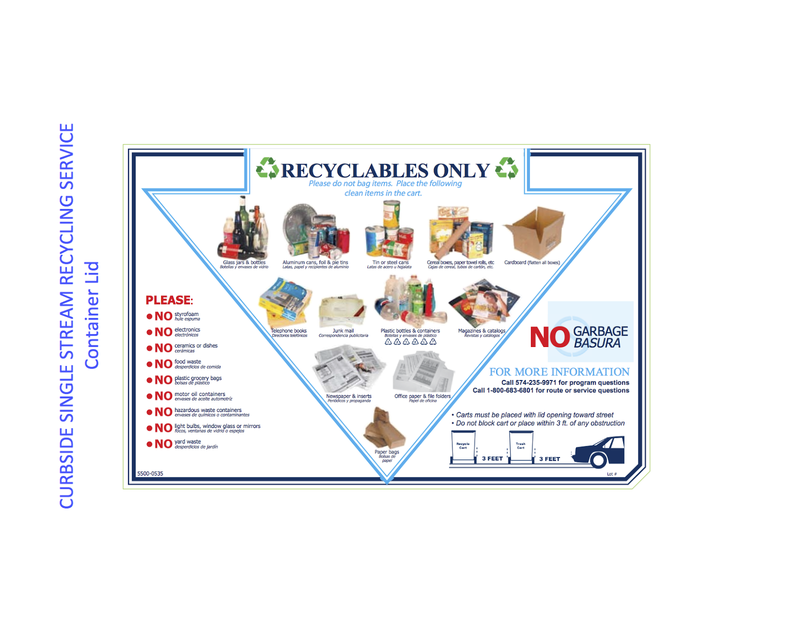 They used to have more types of containers and a little more sorting involved but have now begun to be labeled as "Cardboard" containers and "ALL Other Recyclables" containers. For information on recycling visit www.wasteawaygroup.com.